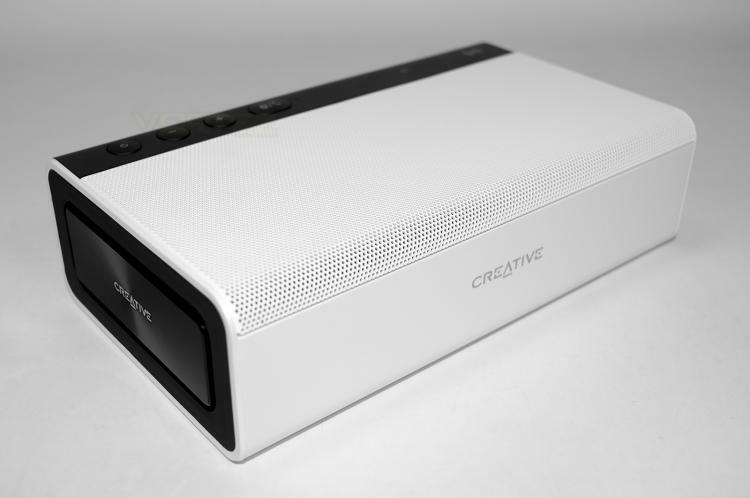 Earlier this year we took a look at the Creative ROAR, oozing classy design and serious performance in a portable wireless speaker. Earning many accolades the ROAR rightly cemented its position against some of the top in the market. Improving upon this act would undoubtedly become a head scratcher. Well, evidently the Creative team is filled with people up to the job of delivering, with the Roar 2 coming in that bit more compact (20% by volume) and 100g in mass which apparently had the design team running up against the laws of physics to retain the same acoustic properties. The most obvious design change is that the front is now solid, and all the drivers now fire up. The Roar 2 and be orientated on its front face with included rubberised sticky feet to allow for horizontal playback and easier access to the rear controls. Amazingly, the specification of the internal electronics remains identical with the same drivers for a powerful performance. Meet the new variant of the critically acclaimed Sound Blaster Roar which has garnered thousands of 5-star reviews. The Sound Blaster Roar 2 is 20% more compact, for a real powerhouse that packs the former's DNA into a smaller frame — the same five high-performance speaker drivers, with the same cutting-edge electrical design and the same battery capacity. This incredible feat is achieved without compromising the same mind-shattering room-filling audio delivered by the classic Sound Blaster Roar.